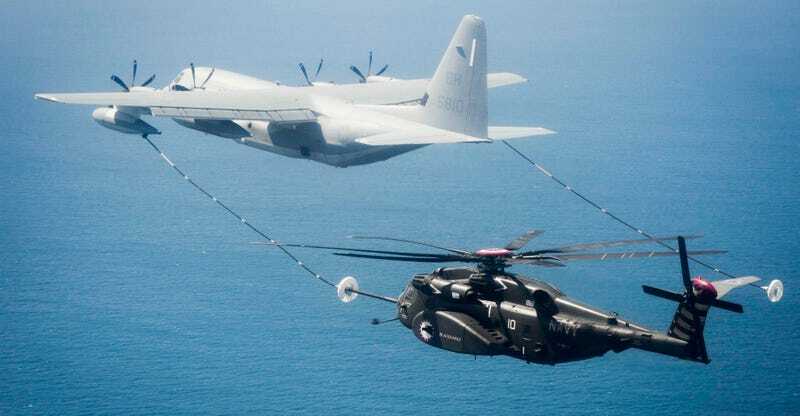 This rear angle capturing a MH-53E Sea Dragon helicopter aerial refueling from a KC-130 tanker makes it look like aerial helicopter refueling is the most dangerous thing. The helicopter blades look like they would tangle up with the fuel line and send both aircraft tumbling down. Luckily, it’s not like that! Here’s a Black Hawk refueling from a KC-130.